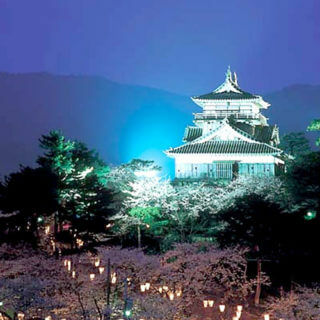 Shibata Katsuie had his nephew, Shibata Katsutoyo build this castle in 1576 after receiving orders from Oda Nobunaga. Today, Maruoka Castle has the oldest flat-land castle architectural style of any of Japan's twelve remaining original castle towers, and has been nationally registered as an important cultural property. This watchtower-style castle tower appears from the outside to have two floors, but has three floors inside, and has distinctive unglazed slate roof tiles. 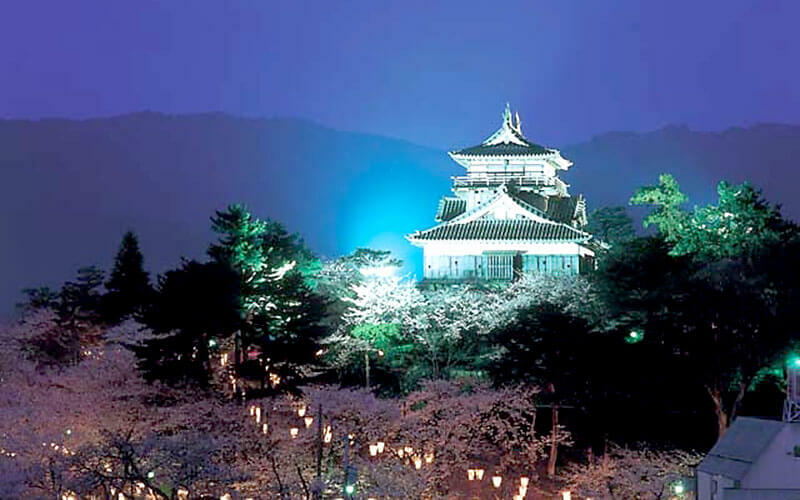 The castle is also considered one of Japan’s 100 finest cherry blossom viewing sites for the trees that come into bloom there each spring. 20 min. drive from JR Awaraonsen Sta.